Renovations & Re-openings In Siem Reap! 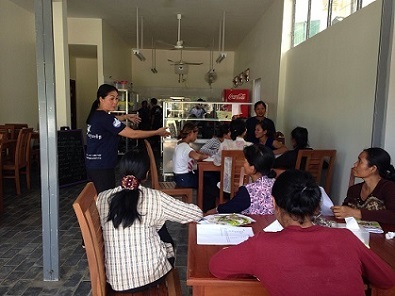 We’ve received an update on the recent exciting happenings in the Kaliyan Mith program, Siem Reap, Cambodia, from the FI Technical Coordinator there, Laura. “Our training beauty salon, Phka Kravan, re-opened in its new River Centre location in July, with the official launch taking place in August. 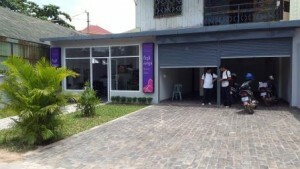 The brand new salon offers an extended range of beauty services and products to attract a wider variety of customers, including expats and tourists. You can keep up with the latest news from the salon, plus special offers and events by checking out their Facebook page, ‘Phka Kravan’. 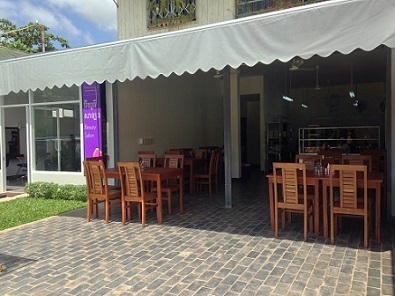 The new caretaker training restaurant (located right next door to Phka Kravan) will have its soft opening on Monday 12 September, providing training to the parents and caretakers of children and young people who lack opportunities. For the past few weeks, the three staff (Restaurant Manager, Cooking Teacher and Service Teacher) have been working hard, providing initial training to 10 students, so that everything will be ready for the soft opening. Training will continue once the restaurant is open. 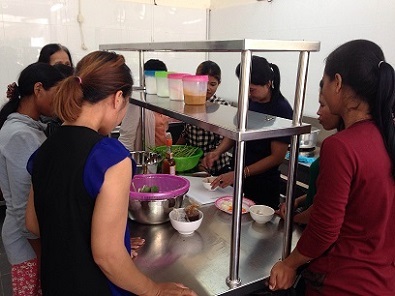 For the next 3-6 months the students will learn new cooking and service skills (plus a range of other soft skills) that will help them find work, become more financially stable and be better able to support their families. The restaurant will serve local, home-style Khmer food for breakfast and lunch from Monday to Friday. The lunch menu will change daily offering a variety of soups, grilled meat and fish, fried dishes and salads. Thanks Laura, and good luck with the new center! If you are in Siem Reap, why not come along and try out these amazing training businesses and you too can help to build better futures for young people! Last day of traveling. For now. Just in time for the crowd. There will be sunrise on the top center of Angkor Wat on the 23rd of September and Siem Reap will be packed with tourists.